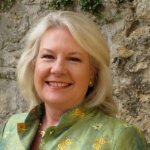 Angela is an experienced, well respected coach and seminar leader in the fields of etiquette, protocol, British culture and education. Angela is an Italian Countess. She has worked with international men and women, business leaders, diplomats and their families. Angela was the Executive Assistant to the Master of Balliol College, Oxford University. Angela joined the United Nations aged 21 and this began her interest in different cultures. She speaks five languages. Angela has worked with people from many countries including Brazil, China, Egypt, India, Japan, Oman, Qatar, Russia, Saudi Arabia, & South Korea. Angela is CELTA qualified (Teaching English Language to Speakers of other Languages) and has prepared students for entry into British boarding schools and leading universities including Oxford and Cambridge. Angela is a Fellow of the Royal Geographic Society, a Fellow of the Royal Society of Arts and a Liveryman of the Worshipful Company of Glaziers (first recorded in 1328) in the City of London.